Looking for a silent, bright spot to cast aside my stressful dreams.. Monday, Monday, how come you always make things look harder? 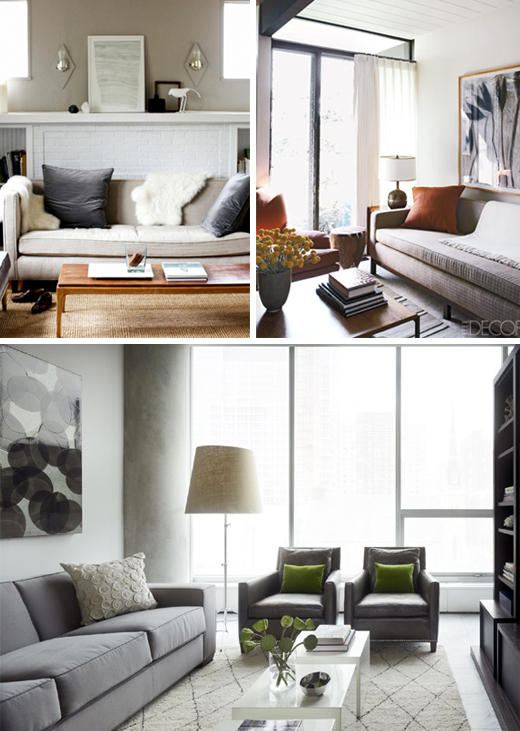 8 comments on "Monday Sanctuary"
These are such beautiful soft grays and neutrals! Colors affect our emotions so much and these rooms are so lovely and soothing. me like that room in the top right corner ... yes, me like! Really like the groupings of everything on the mantel. Very cute! Isn't that the truth! Monday's always make me sad! Very restful pictures. i agree. it's not that i don't like mondays. it's just that they're harder than most days. look on the bright side, it's tuesday where you are already. love the flokati over the couch. mine is on the floor and i don't know if i would have thought of that. Very beautiful house paint and congratulations for the this house. keep it up with all the good work..! Just would like to say your post is luminous. It’s (Monday) feels like we have to restart our whole work schedule which we had leave in last weekend. It’s really very interesting topic you cherished here about Monday.